Please join us at the IFAI Expo OCTOBER 16-18 in Dallas, TX. 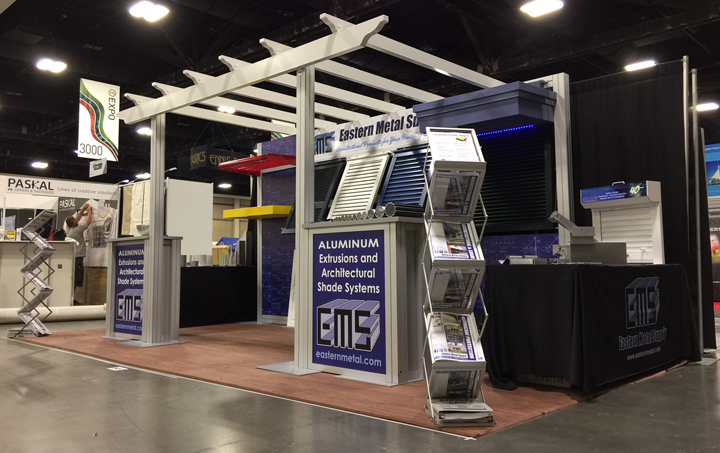 We'll be in BOOTH #630 displaying aluminum extrusions & accessories for awning products, sunshades, architectural canopies, decorative bahama shutters, pergolas and other shade related products. We'll also have an assortment of rollershade tubes (taped and untaped). We really value these interactions and hope that we can help you with your aluminum needs. Click the graphic for more information on IFAI Membership! Join the only trade association in the world representing the entire specialty fabrics and advanced textiles industry. IFAI's publications, conferences, online knowledge-base, staff experts, and industry connections are all centered on member success. Members benefits include marketplace networking, product and service exposure, market sector research and consultation, sourcing referrals, business service discounts, trade advocacy, and more.